The pretty ones, those with smooth wood and fine paint, always got stars. But if the wood was rough or the paint chipped, the Wemmicks gave dots. . . . Some Wemmicks had stars all over them! Every time they got a star, it made them feel so good! . . .
Others, though, could do little. They got dots. Punchinello was one of these. He tried to jump high like the others, but he always fell. And when he fell, the others would gather around and give him dots. Sometimes when he fell, his wood got scratched, so that people would give him more dots. Then when he would try to explain why he felt, he would say something silly, and the Wemmicks would give him more dots. After a while, he had so many dots that he didn’t want to go outside. He was afraid he would do something dumb such as forget his hat or step in the water, and then people would give him another dot. In fact, he had so many gray dots that some people would come up and give him one for no reason at all. Yeah, I read this book to my son the other day. Yeah, I felt it ended up being more for me than for him. Are you feeling like Punchinello, in a depressingly grown-up, senselessly dotted sense? Me, too. Do you have a Father like Eli? A Father who “doesn’t care what the other Wemmicks think”? A Father who says I matter because I am His? If you’re going to do worship in Q style, live in that style. Or if you worship in Z style or Y style, live in that style. You might think there would be more connection between life and the unimportant (in some cases, silly) liturgies pretty much all of us experience on a weekly basis. From mountain church to sea-level church to rolling-hills church — it doesn’t matter how “high” or “low” your tradition is — our corporate patterns are, way too often, just so much fluff. And we fiddle while Rome burns. Our lives are pathetic. We really don’t live “up to snuff” (that’s redneck for “consistent with standards”) with any of our would-be-transformative Sunday “worship” activities. Something needs to be re-calibrated. We could either cease trying to engage in so-called worship activities, or we could try to bring the other 117.5 waking hours a week into harmony. Essentially, some cognitive consonance in this sphere would be nice — and highly advisable from the eternal perspective. Now, to move from the inspirational-yet-human to the specifically God-breathed . . .
in the ancient Philo’s writings, this word is said to “embrace the ministry of virtue and spiritual service to God” — wonder if the oft-cited Philo is why some English versions translated “logiken” as “spiritual”? Etymologically related to the above, the root latron means, roughly, “to work for reward” and “to serve.” This, friends, is an idea quite distinct from the meaning carried in the word proskuneo, which means “kiss toward.” Proskuneo connotes bowing, obeisance, and reverential homage shown toward another, greater being. The expression in Rom. 12:1 is logiken latreian; logiken is a relatively uncommon biblical word and could be said to have spawned our word “logical.” Latreian is also uncommon in this particular form. Its basic meaning is “service rendered for hire, ministration,” and it further is said to be related to the likes of Levitical priestly service. I think Robertson may be affected by church tradition here in linking “service” with “worship”; I do not not see anything directly vertical, i.e., human-to-God, in Rom. 12:1. I rather think Paul is suggesting that offering ourselves becomes, rationally (or even figuratively?) speaking, the New equivalent of Old priestly service. Logiken ≈ logical ≈ rational, and latreian ≈ horizontal service, not vertical worship. Assuming I’m right, this verse is not about worship per se but is about Christian living more generally. Worship, after all, was never halted, but animal sacrifices were. Paul is saying, I am convinced, that when we offer our whole selves to God, the resulting “sacrifice,” so to speak, becomes the equivalent of the priestly service that is no longer a part of how we approach God. ¹ Here, although I highly doubt Lucado had this level of zing in mind when he wrote his phrase, I’ll acknowledge my bias against the high church. The disconnect between corporate worship and life is exaggerated when the corporate worship is in a dead language. By the way, the term “high church” is inherently questionable, as though other ways and means exist on a lower, undignified plane. This reminds me of another inherently questionable term: “Reformed.” Yeah, I know that things needed drastic reforming in the time of Luther and Calvin, but the use of “reformed” today seems to imply a progress, a development, a reformation that no longer reflects the situation. Today, there is not just one church institution that is reforming, or that needs reforming. We all need reforming — certainly including the “Reformed” ones — and many other groups at least make efforts at reforming along the way. 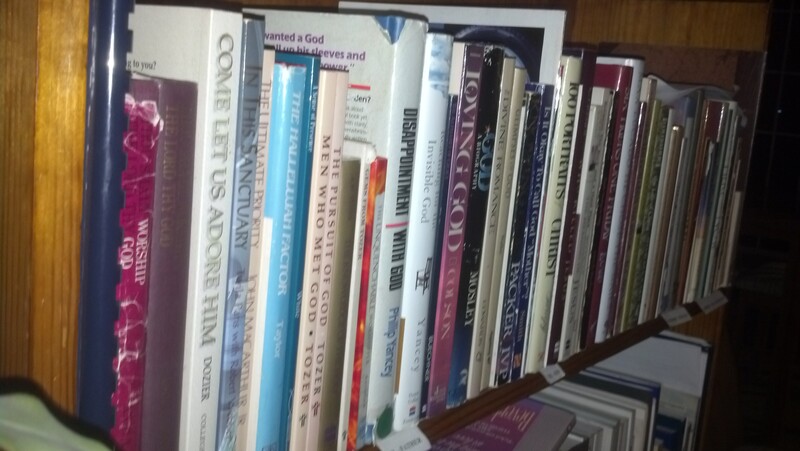 So many ideas on worship, so little biblical foundation. . . .
Principles of equity, academic fairness, and logic would seem to dictate that I stay out of the fray this time around: although I had pointed a couple of toes down a worship path a few weeks ago, the toes got stubbed, and here I am again. Here I am to struggle and wish, but not to worship very much. Oh, the facts that demand worship remain. For instance: God is, God created, and God is all-glorious and majestic. God divested Himself of deity in some sense to be with Us in the person of Jesus, the Anointed One. These realities and others call me to worship, but I’m faced with deafness to said call: I don’t worship as I could, or should. Acknowledging this stark shortcoming, I’ll still dare to offer some thoughts about worship, although without a lot of current, personal praxis to back it up in this phase of life. My hope is that this will help in clarifying our understandings and practices. “People have said that even the birds worship God just by flying around and building nests and taking care of their babies.” Umm, no. “Giving yourself fully over to God, and receiving Him in return.” Nope. This is important, but it is not worship. “Giving more than begging or receiving is worship. Sharing Knowledge. Sharing service. Sharing techniques to art of life. Sprinkle the dust of joy.” Not a chance. This is like saying playing basketball is putting silverware in a drawer, changing a tire, tying your Converse shoelace, shooting a 3-pointer, hitting a home run, sleeping, and going to counseling. There’s a morsel of truth there, but it’s surrounded by things that are only (barely?) related. 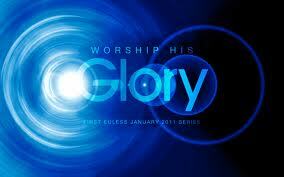 “Worship is bowing/kneeling before someone, making them the center of your existence and groveling at their feet. Honoring means accepting someone/thing as being up there in status and respecting them, but not drooling all over them and giving them useless tokens.” Now we’re getting somewhere. There is some very good material here! When some people talk about worship experiences, their expressed longings seem, vacuously, to anticipate a divine, dove-like descent — analogous to what John saw at the immersion of Jesus. Drooling and perfunctory token-giving, begone. But bow and kneel (sometimes, physically! ), and know that the One you are worshipping is by nature above all. This is a good picture of worship. But can God glorify Himself through a completely secular activity, as expressed in #1 or #3 above? Of course. But will He? I’ll keep waiting for that to happen in any observable way . . . but without half the elpis (hope) that I have in the second coming or in my own ultimate dwelling place. Worship, strictly speaking (and I do like to speak strictly, clearly), does not consist in serving others. Mowing the lawn and washing the dishes and even diapering an infant do not constitute worship. These things are horizontal; they are service actions that can become, metonymically, worship. Worship is inherently a vertical attitude and/or action. It is the demeanor and/or the adoring, reverent expression of a subservient one toward a greater one. Reaching for me, no matter what I do. How You can love Your children to the end. Your love is constant ev’ry day. Here in Your arms, no need to run away. (But) all of my sin is taken by the Lamb! Your love will never ebb and flow. And you love me far, far too much just to leave me here where I am. You want me to be just like Jesus. I’m not sure what he meant by that, but I think I’d probably affirm the idea. “Liturgy” (derived at some point from the Greek leitourgeia, which denotes temple activities and such) is sometimes thought of as the stuff that comes from the so-called “church year” and responsorial procedures and such. I think of it as broader than that and would like to call into question all of us who sing and pray and read and recite (yes, recite—oh, those horribly drab, perfunctory recitations) things and then pretty much forget about them for the rest of the day and week. I think this is one reason I like being with other Christians on Sunday evening. It’s a little closer to the rest of the week, and it’s just a teensy bit more likely, therefore, that I might actually remember something we shared so that I can live it out. Christendom has its share of struggles and scourges. There’s truly a lot to criticize (although not as much as the news media appears to believe). But I find in contemporary Christian culture that there have been some consistent voices … voices that have spoken for more than a decade and have not succumbed to scandal. Voices whose messages have been sound and inspirational. No person should be idolized, and I’m no groupie, but I have retained a certain admiration for some of these folks and thought it would be worthwhile to mention them. Honor to whom honor is due. . . . I claim no personal knowledge of these people’s lives but have never heard them ill spoken of, and have a fair amount of experience with many of their works through the years. They seem sincerely enagaged in Kingdom work to me. Would anyone care to add to the list?